meet needs of the time. Developed a dedicated system control software. Accepts up to five pump remote control PC. HYM portable unit consists of Super Metering Pump HYM, Motor, Speed-Controller, Revolution -Indicator and Touch-Screen. Immediately after turning on the power, this product is ready to use. 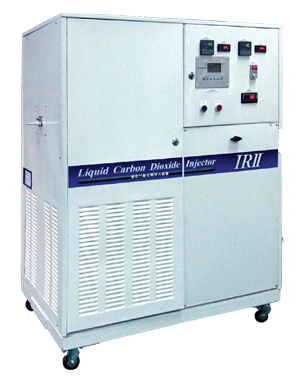 LCD injector can feed the liquefied carbon dioxide precisely and continuously for a long period. 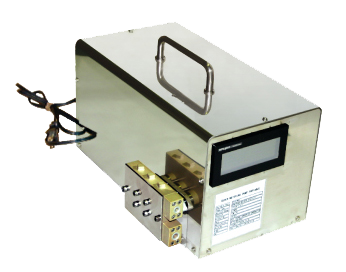 A temperature regulator is used to control liquid temperature. 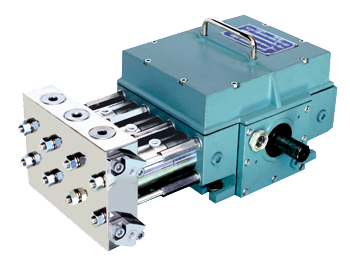 Iretaro is a unit, which consists of Super Metering Pump (core), a tank, a control board, etc. It is fixed on the hand cart for easy mobility. All liquid end parts are metal free suitable for applications to use highly corrosive liquid (e.g. strong acid) or liquid, which must be kept away from iron ion. Jacket to control liquid temperature. Liquid purge to wash out liquid between seals. 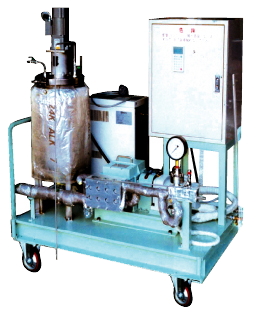 Gas purge to handle anaerobic liquid. 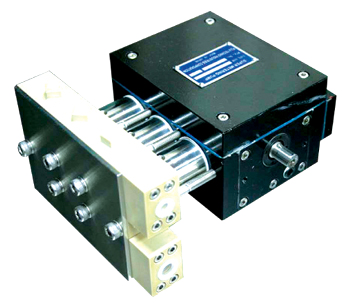 Dual pump head to double flow rate.